Snapchat has grown from a marketing question mark to a marketing must-have in a relatively short time. Since its inception, Snapchat has skyrocketed in popularity amongst not only individuals, but businesses. Like any social media strategy, using Snapchat for business requires thoughtful planning. To help you out with this, we’ve collected the top Snapchat statistics you need to know for your business. To put that in perspective, the platform had only 5 million daily users in December 2013—and it’s still growing. As a social media marketer, this is a fact you can’t ignore. You need to be where your audience is, and with such a high number of users there’s a good chance your customers are on Snapchat. While more than half of all Snapchatters use the app daily, another 32 percent use it two to five times per week. This means that 87 percent of Snapchat users are using the app at least twice per week. Snapchat users are engaged, which means they’re more likely to be receptive to your message. With this kind of growth, using Snapchat to broadcast and share video is something your brand might want to consider. One way you can use Snapchat’s video capabilities for business, is with Snap Ads. Snapchat’s advertising tool, Snap Ads, offer companies a great way to create and share mobile video ads. Because it’s Snapchat, there’s also the option to add fun interactive elements like filters and Sponsored Lenses. Snap Ads begin with a vertical, full screen video ad up to 10 seconds long, and give viewers the option to swipe up for more information such as product details, website links, long form video, app install ads, or articles. When it comes to using Snapchat videos to tell a story with your brand, you’re only limited by your own creativity. The high use of Snapchat means that users aren’t just sending or posting a couple of Snaps each day—they’re having full-on conversations through their Snaps. Knowing how engaged your audience is is a great starting point for building your social media strategy, so take this information and plan accordingly. This is one of the most coveted demographic for marketers, and brands are constantly looking for new and unique ways to reach them. And for good reason—those under 30 are the largest demographic in the United States. What might be even more important to marketers? By 2020, this age group is expected to spend $1.4 trillion every year, and are expected to inherit approximately $30 billion in the future. Businesses can purchase a custom Geofilter for an event, location, or promotion. The cost of a custom Geofilter depends on a few different factors, such as the size of the area you want your Geofilter to be active in (which can range from 20,000 square feet up to 5 million), as well as how long you want it to be available. If looking for a step-by-step guide to creating your own custom Geofilter, see our post How to Create a Custom Geofilter on Snapchat. If there’s anything that has set Snapchat apart from the crowd, it’s the fun selfie lenses. You’d have a hard time finding someone who doesn’t like making themselves look like a cute puppy. Brands can get in on this unique feature by creating Sponsored Lenses. Companies can add their logos to a Lens, along with a fun interactive mask or animation. After playing with a Sponsored Lens, users then share their Snaps or post them to a Story. Because of this potential, you’ll want to make sure you create something highly shareable. This isn’t the place to simply slap your logo on a boring image—nobody wants to share that with their friends. Gatorade found success with their Sponsored Lens, which let users experience a virtual dumping of the famous sports drink, engaging a large audience with an interactive experience. And their efforts paid off. Gatorade received 165 million views, and saw an eight point increase in purchasing intent from those who engaged with the Lens. You can post a coupon to your Snapchat Story and encourage your audience to take a screenshot of it, or send a Snap of a coupon to users individually. Sixty-nine percent of college students say they would be more inclined to open a Snap from a brand than an individual they don’t know, so you’re good to go as long as you aren’t spamming your audience. Vertical videos are watched 9 times more than horizontal videos on Snapchat. When sharing content on a social network, understanding your audience’s preferred format is key. You could create the most compelling video, but if it isn’t packaged in an appealing way it won’t have good reach. On Snapchat, users have made it clear that they prefer vertical video. Your Snapchat audience doesn’t want (or expect) to have to turn their phones sideways to get the full message. Before you devise a marketing strategy for any social media network, you need to be equipped with as much information as possible. 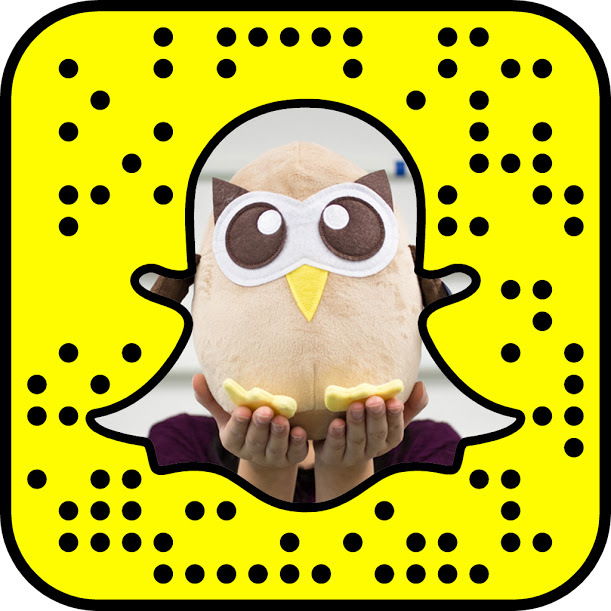 With the Snapchat statistics above, you have the key data you need for marketing success.